Many aspiring sports reporters dream of reporting live from a Premier League press box, and students on our NCTJ-accredited Sport Journalism course get this opportunity through our exclusive links with Arsenal FC and Brighton & Hove Albion FC. Our course will develop the skills you need for this exciting industry, including news writing, match reporting, digital skills and shorthand. In addition to your degree, you will take the National Council for the Training of Journalists (NCTJ) Diploma in Journalism, a widely recognised entry-level qualification for professional practice. The course is taught by media industry professionals and highly respected academics. You’ll learn using our industry-standard facilities, which include a 40-station newsroom, multimedia suite, and live satellite sports and news feeds. You’ll benefit from field trips which have included The American Express Community Stadium, The Times HQ and the Copper Box at The Queen Elizabeth Olympic Park, and our guest lecture programme. Sky Sports’ Jim White, Martin Tyler, Kelly Cates, Clare Balding, Nick Davies, former England cricket captain Mike Atherton and Paul Hayward, Chief Sportswriter at The Daily Telegraph have all shared their experiences with our students. Your work placement will give you experience, helping you make vital industry contacts. Previous students have spent time with organisations including Sky Sports, The Daily Telegraph and The Sun. You can participate in the running of our journalism website overtimeonline.co.uk which will act as a showcase for your writing. You can get involved in subediting, writing headlines, learn to produce video and audio, and develop your multimedia skills. On top of these core elements, you learn skills in digital and multimedia journalism, which are becoming increasingly central to industry practice. You also take a work placement in the final year so you can experience a professional sport journalistic environment. In your first year you’ll gain a thorough introduction to sport journalism, covering areas such as multimedia journalism, news, ethics, shorthand, public administration and the social history of sport. This module will introduce you to the different and varied forms of sports journalism and will enable you to become familiar with the work environment. You will learn about the sports story cycle across newspaper, web and television at local, national and international levels and discover the stylistic and audience dynamics associated with these platforms. You’ll develop your writing ability and will be introduced to longer forms of journalism. You will have the opportunity to cover live sporting events through field trips. In this module you will develop your knowledge of spectator sport in its social context, gaining an understanding of the key elements that have dictated its growth from ancient origins in Greece, Rome and China to the world’s foremost live attraction. You will cover topics such as race, class, professionalism, politics, nationalism and sexuality. You’ll go on an industry placement and complete your final project. You will also choose from optional modules, giving you flexibility to specialise in areas of sport journalism that interest you most. There is also an opportunity to take part in our pioneering and award winning Premier League Apprenticeship and be employed as a matchday media assistant with Brighton & Hove Albion FC.Herald. Owen is a sports business academic and ex-professional sports journalist. He was editor for SportBusiness International magazine, the oldest magazine covering the business of sport, and covered major events including the 2012 London Olympics and the 2015 Rugby World Cup. Owen is the Sport Journalism BA(Hons) course leader and lectures on the Multimedia Journalism, Introduction to Sport Journalism, Public Administration, Journalism in Practice, Research Methods for Journalists, Digital Journalism, Critical Investigation, Cross-platform Journalism and Advanced Sports Journalism modules. Simon has a close working relationship with Sky Sports News where he devises and delivers a 20-session advanced journalism programme to industry professionals on how to improve their journalistic knowledge and skills. Simon writes national examination papers on sports journalism for the industry training body, the NCTJ. Simon has a professional background in both national and local newspapers. He was a sports journalist with The Sun for nine years before joining the University of Brighton. He has been deputy sports editor of the Colchester Evening Gazette where he covered Colchester United and Ipswich Town and started out as a news reporter with the Braintree and Witham Times, and Maldon and Burnham Standard in Essex. He has also contributed sports reports to the Daily Mirror, Daily Mail and the Press Association. Simon is a fully professionally qualified journalist as he holds both the National Certificate qualification for senior newspaper journalists and the NCTJ pre-entry certificate, including 100 words per minute shorthand. Simon has worked in academia since 2009, researches into journalism professionalism and has had scholarly work published in Digital Journalism, Journalism and Journalism Practice. 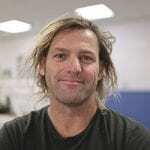 Rob Steen is an award-winning sports journalist and one of the world’s leading cricket writers. For 30 years he has worked extensively for the Guardian, the Independent, the Sunday Times, the Daily Telegraph and the Financial Times among others. Winner of the 2005 EU Journalism Award (UK section) ‘for diversity, against discrimination’, a long-time columnist for Cricinfo and blogger at rocksbackpages.com, he has also written more than a dozen sports books including David Gower – A Man Out of Time (winner of the 1995 Cricket Society Literary award), Spring Summer Autumn (1991 William Hill Sports Book of the Year runner-up) and an acclaimed textbook, Sports Journalism – A Multimedia Primer (second edition published in December 2014). Rob has peer-reviewed articles for journals such as African and Asian Studies, Nations and Nationalism, Convergence, and the International Review for the Sociology of Sport. He is currently working on a PhD. 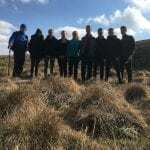 Thirty third year Sport and Exercise Science BSc(Hons) students travelled to the Brecon Beacons as part of the option module, Expedition Physiology. University of Brighton scientists are researching how to resolve international controversy over whether transgender sportswomen are competing fairly. With a week to go until the Brighton Marathon, we’ve been asking the senior lecturer in exercise physiology for some tips ahead of the event. More female firefighters are being hired but new research, co-led by the University of Brighton, suggests that fire services need to ensure appropriate consideration is given to female specific needs. The degree offers career opportunities in newspaper, magazine, radio, television and online journalism as well as public relations and media management in sport organisations. You will also acquire transferable skills suited to other graduate careers. "Sportspeople have the best job in the world, but sports journalists are a close second. At the University of Brighton, you learn that through modules which provoke your thoughts on social sporting matters, facilitate your creativity across different platforms, and teach you the fundamentals and laws of journalism - all in equal measure. "As an inaugural member on the Brighton & Hove Albion apprenticeship, I was able to gain some invaluable industry experience at a Premier League club during my third year. Quizzing top-level managers and players is something not many students have the chance of doing on a regular basis prior to their graduation." "After spending two years in Eastbourne I have certainly grown attached to it, from its outstanding natural beauty to its international sports events such as the AEGON International pre-Wimbledon tournament. "At university you are in charge of your own destiny, and as a sport journalist I have been able to report at the AEGON International and cover Eastbourne Town FC’s Ryman League matches for the local newspaper. "The school of Sport and Service Management attracted me because of its tight community of students, lecturers and researchers, and as a lover of sport, the wide variety on offer here makes it like no other." "I originally chose the Sport Journalism degree at the University of Brighton because it offered the NCTJ qualification, but the course has given me so much more. I know I will leave with a repertoire of knowledge beyond just sport journalism, including politics, law and multimedia skills. "Our lecturers have real-life experience in the industry, which means the lessons and tips they pass onto us are invaluable. Their varied expertise ensures that whichever field you find yourself heading towards, they'll be able to help and advise you every step of the way. "The Sport Journalism BA has everything you need to get your money’s worth, and it will stand you in great stead for a career in the media industry."